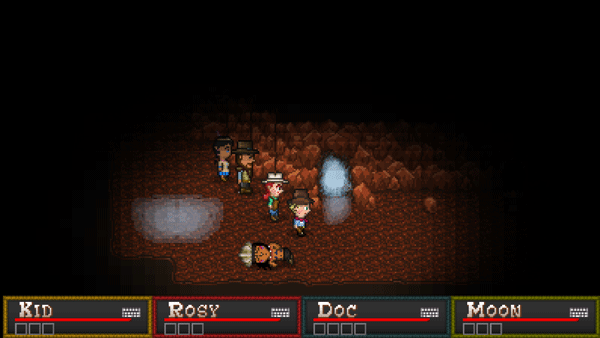 Boot Hill Heroes on PSM April 2 with Exclusive Content! 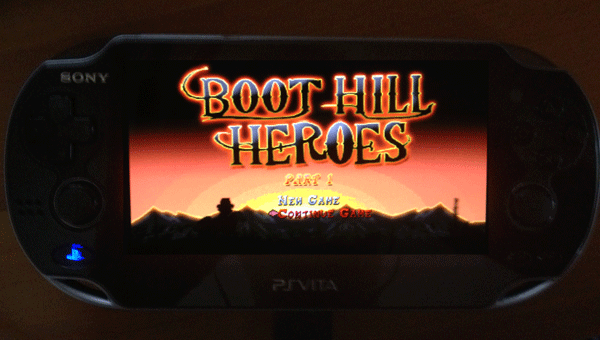 Finally, after months of porting, Boot Hill Heroes Part 1 will be a downloadable title for PlayStation Mobile certified devices. This includes PS Vita and Xperia tablets. Here’s a list of other PSM devices. 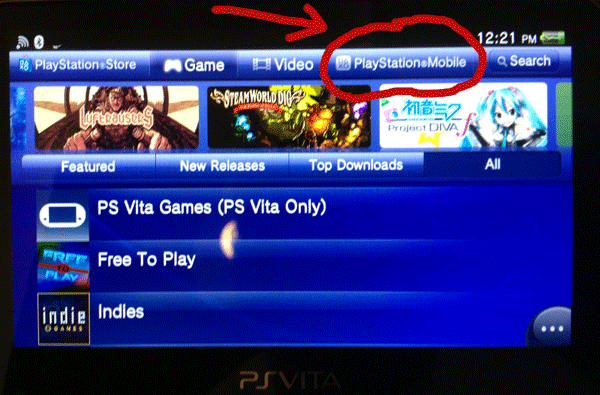 If you’re looking for the game on your Vita, you have to click on over to the “PlayStation Mobile” tab in the PlayStation Store. 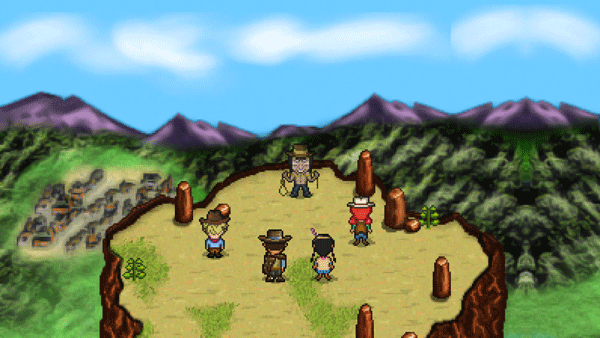 There, you can probably find Boot Hill Heroes under new game releases. “The Hangman’s Ballad” is an exclusive side story that can only be found on the PlayStation Mobile version of Boot Hill Heroes. This content adds about 3 more hours to the 10-15 hour game length (not including the excruciatingly difficult final boss who may require much more time to defeat). “The Hangman’s Ballad” contains several new enemies and boss encounters along with new materials, weapons, and armor to collect. The story of “The Hangman’s Ballad” is unlocked post-game (after the end credit sequence). 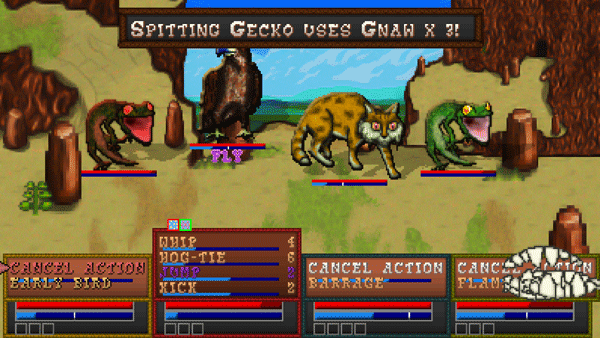 Our heroes will be asked to investigate a Chepakwik Indian raid on a wagon train at Crazy Bone Pass. Moon Dancer is determined to get to the bottom of this unwarranted assault, but when she finds that her own brother, First Winter, is behind the attack, she finds herself torn between the desire to defend her family while maintaining the peace. This is awesome. I will totally take the Vita version one you guys have the vouchers for KS backers ready. 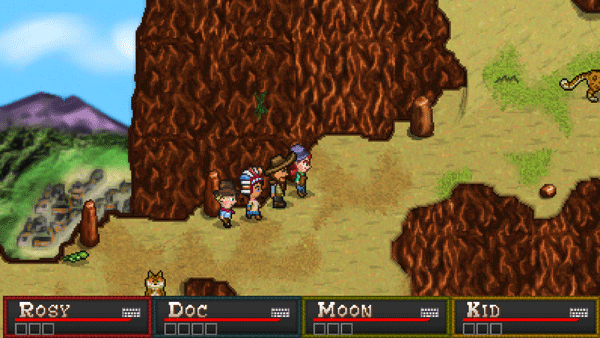 This is the perfect on-the-go rpg. I don’t own a PSM. I never intend on owning a PSM, I play games on PC. 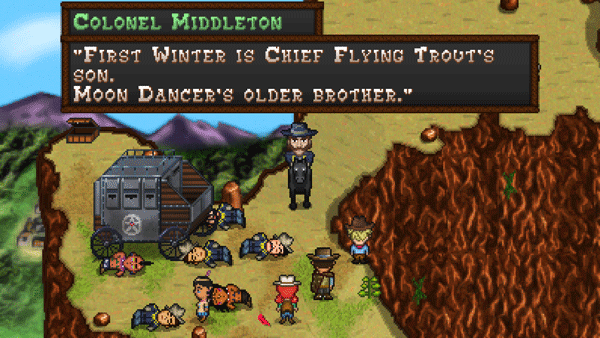 Had I known that not owning a PSM would lock me away from 20% of additional story content in Boot Hill Heroes, I honestly never would have preordered. I don’t support games that lock genuine content (things that aren’t weapon skins) behind various platforms. I now regret my purchase. Enter the first PC elitest tool. I own a PS3, PS4, Wii U, gaming rig, Vita, and 3DS. You’re only hurting yourself if you choose to ignorantly hamstring what platform you use. Don’t blame them for your choice. And it’s not going to be that much story, really. You’re making waaaaay too big a deal of this. I’m a PC elitist tool because I don’t purchase multiple versions of games across multiple systems just to be able to experience everything a game has to offer. I wouldn’t call an extra 20% of playtime (15+3, or 35%~ if it’s 10+3) insignificant by any stretch of the imagination. I guess it’s cool if you don’t care, but I do. I can do basic math, thanks. It’s not part of the main story, so you’re not going to missing out on much. This practice isn’t going away, so there’s no use complaining about it. If you want developers, particularly indie devs, to be able to stay afloat long enough to keep bringing us great games, then they need to get it on as many platforms as possible. Not all gamers play on a PC or an Xbox and they want to make it attractive to those people so they’ll purchase it. It helps to support their careers in the longterm. That is *not* a bad thing. There’s also nothing here that says they won’t add it into the other platforms at some point down the road. It’s just not a deal breaker. You’re still getting a high quality retro title for pretty cheap money. It’s an added 1/4th amount of gameplay, give or take depending on how generous you’re feeling. You keep saying it isn’t much. I disagree. Also, explain to me why developers have to offer 3 hours of additional content to players on additional systems. What is the logic? If I don’t play games on PC, but I do on XBox or PSM, and I see a game for sale that’s available on multiple platforms… I won’t purchase it unless I get a little bit extra over other platforms? What sense does that make? That’s ridiculous. No one thinks that way. At least, no one you want to market your game towards. Preference towards one platform doesn’t create sales where otherwise there would have been none, all it does is upset those pointlessly left out. The only semi-valid argument is if PSM required this, which I’ve heard they only require for older games that are being ported to PSM, not games being simultaneously released across platforms. Were Playstation demanding that a developer give them preference, I’d say that developer might do well to not do business with Playstation out of principle. Steam and Nintendo seem far friendlier. And additionally, if it is a required exclusivity, it appears to be timed if this article is any indication. So I suppose there is nothing stopping the developer from patching it into the PC version after 2-3 months? I’d like a verification on that. JC, I appreciate your honesty and feedback. You’re not the only one upset by the exclusivity and your points are valid. I made a mistake in not realizing earlier that the news would upset anyone. It is not timed exclusivity. If you want a refund I can arrange for that. I only hope the game is worth this much fuss over. This is post-game content. So I would suggest you play the game to the end and if you love it so much that you are still sore about the exclusivity then let me know and I will do whatever I can to make things right. To be honest, if you were porting BHH over 6+ months down the line to another platform with additional content, that wouldn’t bother me quite -as- much. Because when most indie developers do that, it’s because it’s something they were working on after the release of the game specifically for that platform while porting it. But given the simultaneous release, it means you intentionally developed something for one version that you didn’t for the other while working on both. There are two versions of BHH being released and I would be playing the objectively inferior one. I don’t want to be put into that situation, as much as I was looking forward to playing through the entire trilogy. Where do I contact for a refund? The content was actually made while the game was in beta testing. While I was happy to discuss the issue with you and work towards a solution, you do not appear to be interested. Refunded. When do we get our pc version of the game? Did you guys already release it to the backers? The PC version has not been released yet. It will be released around the same time, give or take a few days. Because I never got my copy for being a backer and if its gonna come out on ps vita first I dont have one to play it on. Thanks http://www.experimentalgamer.com. After getting a brand-new gaming console, it is very easy to ignore PS4 accessories, however a wonderful video game controller does make a difference.